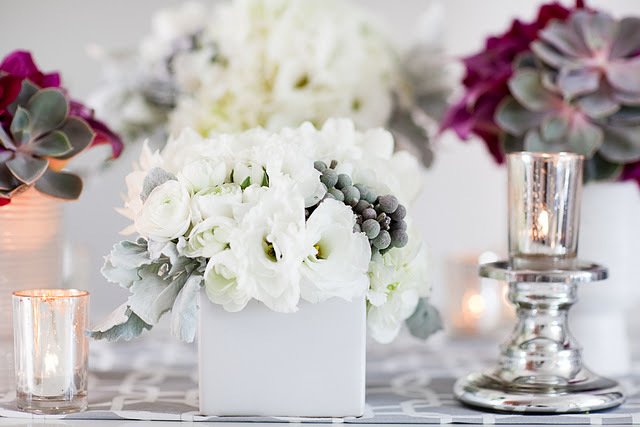 I always love a crisp white flower with silver accents for weddings this time of year. There's such a fresh, airiness to the look with this color palette. Dear brides, what do you think?